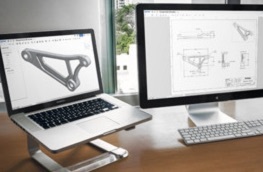 Onshape is the first and only full-cloud 3D CAD system that lets everyone in a design team work together using any web browser, phone, or tablet. 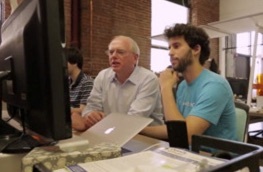 Based in Cambridge, Massachusetts, Onshape is venture-backed and it’s team consists of key members from the original SolidWorks team plus elite engineers from the cloud, data security and mobile industries. How do you collect feedback from your users? Issues in 3D CAD are very difficult to communicate in text. Since our software runs on a variety of platforms and devices, it’s crucial to make it as easy as possible for our users to send support tickets.With screenshots from our users, Onshape can act on most submissions without requiring another thread of communication. How is the feedback workflow designed? 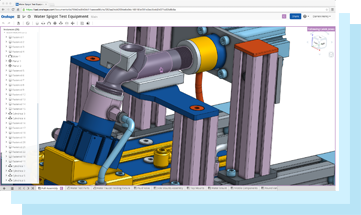 Usersnap is built directly into our main CAD product and is utilized by many of our customers. Our customers are utilizing the Usersnap widget to send in their product feedback and support requests to us. We have also incorporated it into our help documentation to allow our users to point out areas needing clarification. The submitted tickets from Usersnap also carry additional pieces of information related to our product helping us to understand exactly the context of the user when the ticket was created. The screenshots and tickets created with Usersnap are then sent to our existing Zendesk ticketing system where the additional information (URL, specific Onshape data, user data) is used by our support team to provide fast and efficient support. What problem has Usersnap solved for you? Usersnap has broken down the barriers of communication and enabled our users to accurately communicate the complex 3D problems they are having. Many times we can see peripheral visual cues that might have been missed in a simple ticket submission. This allows us to determine whether a ticket is a real bug, a support request or a general feedback and allows us to send it to the according team. What additional tools are you using in your customer care workflow? The support workflow includes a number of tools like Zendesk and JIRA but we also have built custom integrations to SalesForce, Vanilla Forums as well as a series of custom webhooks to power other systems. Being a startup and growing quickly, the key is to keep efficiency in the support tools we have to keep our users successful. Many systems are integrated as part of Onshape support but because the first communication from our users via Usersnap is of high-fidelity, the rest of our automation leverages that advance.